Born November 29, 1998, in Murakami, Japan, Ayumu Hirano is a two-time gold medalist in the men’s superpipe competition at the Winter X Games and the winner of consecutive silver medals in the half pipe competition at the 2014 and 2018 Winter Olympics. UNIQLO is proud to announce a unique partnership with Roger Federer, our newest Global Brand Ambassador. Mr. Federer will represent UNIQLO at all tennis tournaments throughout the year, starting with The Championships, Wimbledon 2018. Born October 2, 1991, in Alexandria, Scotland, Gordon Reid is the youngest national wheelchair tennis champion in the United Kingdom. He achieved that honor at age 15 in 2007, and in the same year, he led Great Britain’s junior team to win the World Team Cup. In 2016, Reid won singles titles at the Australian Open and Wimbledon and won the coveted gold medal at the Rio Paralympic games. He finished the year as the world’s number one and was honored with an MBE. 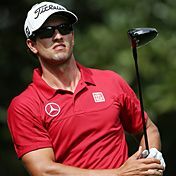 Born July 16, 1980 from Adelaide, Australia, Adam Scott is a world-class pro golfer. After placing 9th in his first Masters tournament in 2002, Scott won his first tour title at the Deutsche Bank Championship in September 2003. 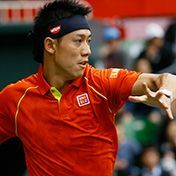 Born on December 29, 1989 from Shimane Prefecture, Japan, Nishikori has been a standout tennis player since he was a junior player. He won his first championship on the 2008 ATP tour, and in 2012 he advanced to the quarter-finals of the Australian Open. In September 2014, he became the first Japanese player in history to take 2nd at the US Open. In November of the same year, he became the first Japanese male to enter the top 5 in the world rankings. Nishikori continues to live up to his reputation as Japan's tennis ace. 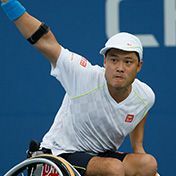 Born on February 21, 1984 from Tokyo, Japan, in 2007, Kunieda achieved the first wheelchair tennis Grand Slam in history. He is one of the world's leading wheelchair tennis players, with numerous titles and accolades including winning the 2008 Beijing Paralympics, and defending at the 2012 London Paralympics. He was ranked #1 in the world in 2014, and won 8 championships at the Australian Open, where he was undefeated between 2008 and 2015.